This 1941 short, titled In the Sweet Pie and Pie, has The Three Stooges on death row. Wrongly accused The Stooges are almost murdered by the state! Sadly, it's something all too common in the world of this barbaric practice. Now with that in mind - enjoy the laughs! Ed Wood must have had a hand in directing this show's sequences about Chinchillas. Channel 9 From Outer Space? Pay attention to the chunk between the 6:50 and 10:37 mark. Absolutely hilarious. All those early naysayers of television who claimed it would never replace the art form of radio must have been thinking about crap like this. Well, after posting the oddball Tim Conway - Ernie Anderson comedy records a couple weeks ago, I thought it might be fun to take a look at this obscurity. 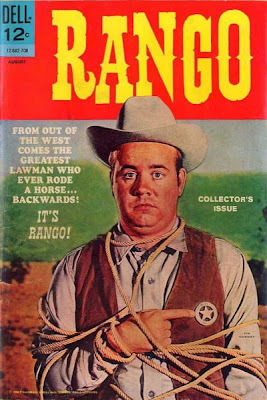 Between his success on McHale's Navy and The Carol Burnett Show, Tim Conway starred in this western sitcom that lasted only half of the 66-67 season on ABC. Guy Marks who had just finished a stint on The Joey Bishop Show (the sitcom, not the talk show) was co-star. Complete with commercials. A lot of familiar names in the production credits of this one. Jackie Gleason related Mystery Guests on What's My Line? Some swell person on YouTube has been posting several different "Mystery Guest" segments from What's My Line? that have to do with either The Honeymooners or The Jackie Gleason Show. Check these out (a couple of 'em were posted here earlier this week). 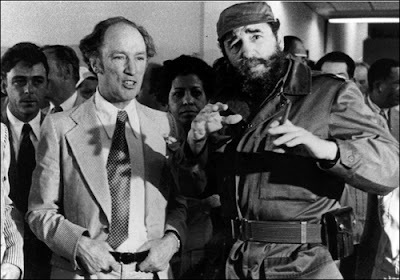 A CBC News Documentary hosted by Don McNeill with appearances from the crotchety former Prime Minister John Diefenbaker. Here is an obscure sitcom that aired on CBS in the 1967-68 season. 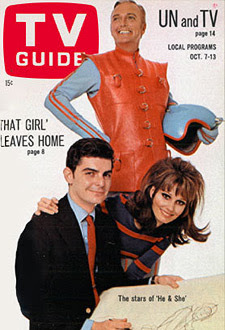 Richard Benjamin and Paula Prentiss were real life husband and wife when they were cast in their roles as spouses on the program. It had future Mary Tyler Moore Show talents Jay Sandrich directing many episodes and Jack Cassidy playing the egocentric star of the TV Show Jetman - based on the comic strip that Richard Benjamin's character created. Cassidy's character seems to be a predecessor to Ted Baxter on MTM and, in fact, Cassidy once guest starred as Ted Baxter's brother on MTM. He & She also featured folk-singer turned actor and one time Smothers Brothers writer Hamilton Camp. Other unique comedy character actors appeared as well, such as Jack Sheldon and Larry Storch. This episode features the prolific and instantly recognizable character actor Charles Lane as the immigration official.